We live in an age where free games are almost more of a burden rather than a blessing. Seriously, I have enough games as it is, and the point has already come and gone for when I am actually more excited to pay $4 for a game on sale rather than get it for free anymore. But still, in an attempt to lure people into their subscription plans, both Xbox Live's Games with Gold and PlayStation Plus' Instant Game Collection have been rapidly handing out free content for the past few years now. Sony has done a good job wrapping up the lion's share with more desirable games and a bigger selection, but Microsoft scores points for letting you keep them forever. In the end, though, it all comes down to value. 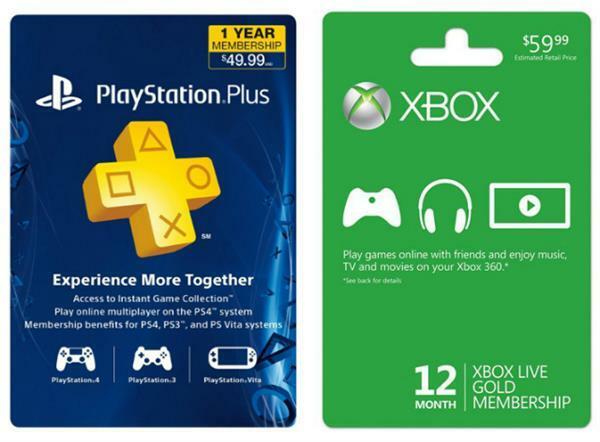 How much free content did both PlayStation Plus Instant Game Collection and Xbox Live Games with Gold distribute in 2014? Following results from Push Square and Polygon, PlayStation has clearly come out on top in terms of monetary value, doubling Games with Gold's value and delivering a grand total of $1,349.29 worth of free games. Xbox handed out a respectable $584 worth of free games. Both publications also took to Metacritic to average out the games' quality, and both Sony and Microsoft clocked in at a 79 and 78 average aggregate score respectively. All that aside though, what do you think of both services? I was all about free games at first, but over the course of the year, I started to notice how few of them I was actually playing. In fact, the only games I sunk a legitimate amount of time into were Hotline Miami and Velocity Ultra on my PS Vita. The rest found their way into the back recesses of my hard drive and expired alongside my PlayStation Plus subscription. Sorry, but yeah, buying a game on sale is far more satisfying than getting them monthly for free. Not only do I own the game forever without the fear of losing it whenever I feel I've had enough of my subscription, but hunting for sales and pacing myself is fun in and of itself. The Instant Game Collection kills that thrill because you can't permanently buy a game on sale if you are already renting it for free for a year. Taking that into account, and the fact that I simply don't play multiplayer games anymore, I am going to see how long it takes before I sign up again for PlayStation Plus. I don't need free games, and the additional discounts are all I'll miss out on when a sale rolls around. I'm interested in seeing if the difference between sales prices will clock in over or under the $50 subscription fee for the year.